Set yourself apart from the competition with a custom display designed to sell. 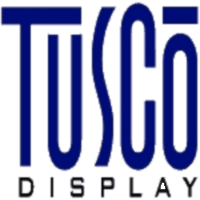 At Tusco Display, we’ve created custom displays and fixtures for over 50 years. Working with top brands and retailers, our ingenuity shows and sells. Don’t let your product simply sit on a shelf when it was made to stand out! Interested in learning more? Fill out the form below to download our company presentation, Convert Browsers into Buyers.